You'd be forgiven for thinking these divine gold pearl drop clip on earrings were precious treasures! Perfect to add vintage glamour to your bridal style. Full of exquisite charm our Heirlooms of Gold Clip on Earrings are truly sensational. 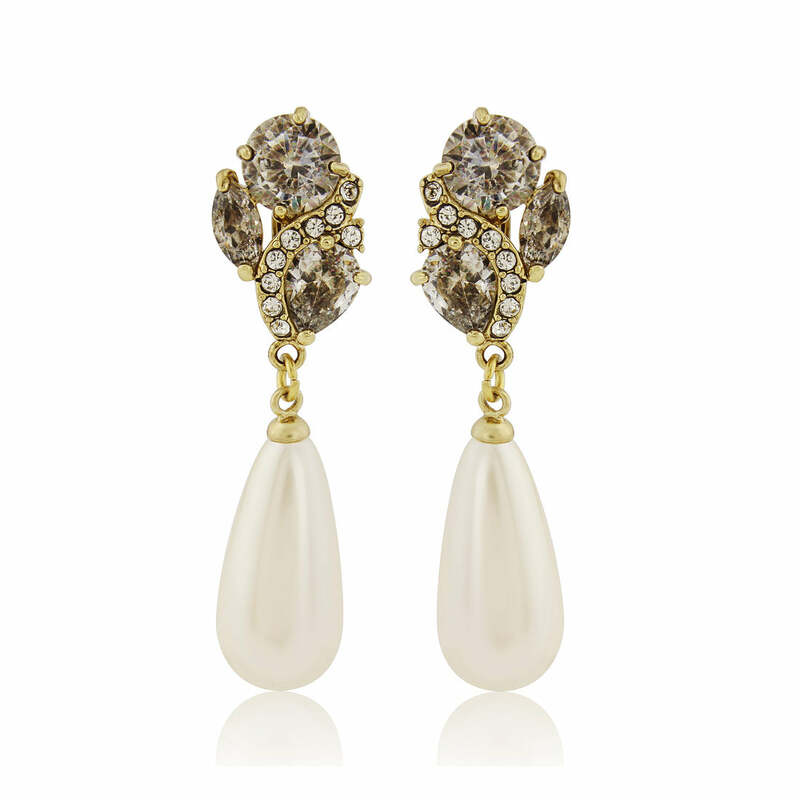 Taking influence from the fabulous 1950s era they feature a shimmering light ivory pearl droplet elegantly suspended from a cluster of sparkling Austrian crystals around a swirl of petite stones set in antique gold tone. Statement style, these gorgeous earrings are a dream come true for all those without pierced ears. Perfect to dress up a classic updo or peep out from flowing locks they will bestow movie screen chic. Brides who adore vintage pearl earrings will fall in love with the elegance and beauty of this fabulous drop design. The perfect accessory to bring Grace Kelly flair to your wedding day style, Heirlooms of Gold can be worn alone or teamed with a delicate gold hair comb to capture the sophistication of the iconic 50s era.